Remember those pesky details I mentioned in the last post? Well, it seems that details spawn faster than the Easter bunny’s slutty cousins in the spring. Cause boy oh boy is it going to be a crazy summer for me. Wanna hear all the details so far? Well you better, cause I want to tell you! If you don’t I guess you could just stop reading. Go away! Right now I am in Waxahachie, Texas. I got here about a week and a half ago after a hastily, though skillfully, completed pack down in Arizona. 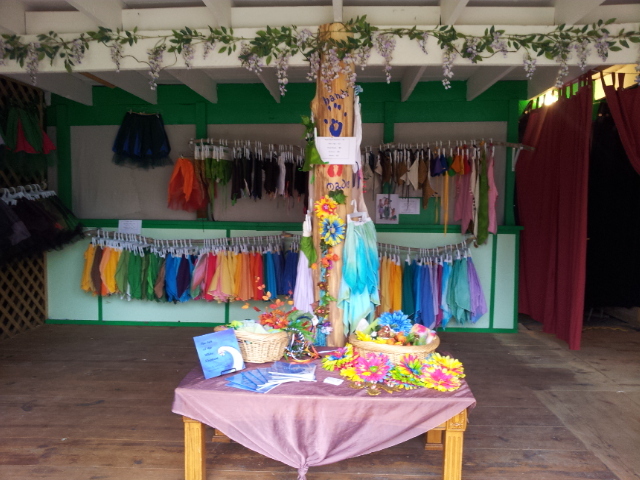 Here, I quickly moved into the super wonderful booth I am renting for the season and prepared for opening weekend of Scarborough Faire. I do love the booth. I’m rather proud of it, honestly. The clothing racks are curvy branches and really give the shop an organic flow. And I put them up myself. With a power drill! 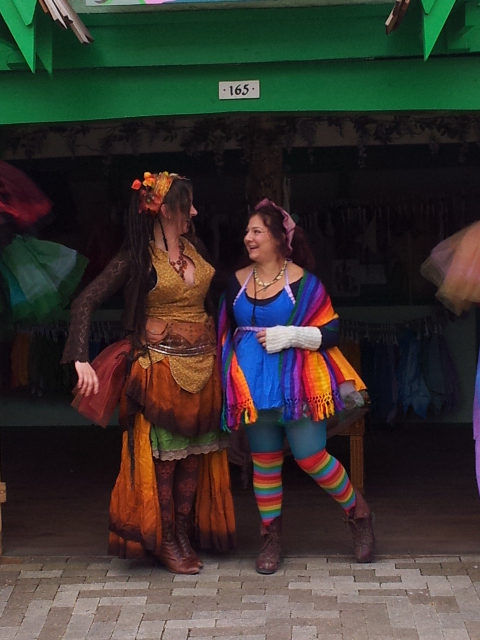 The skirts look colorful and wonderful hanging on them. Roxanne and I have had a great time playing fairy, and I have every confidence that she will be awesome when I have to drive away and leave her in charge of things. So when am I driving away and leaving her in charge of things? In two days. Aah!! On Sunday afternoon I will climb back in to Shelly the Sportvan, who is currently full of everything I’ll need to set up a booth at the Virginia Renaissance Festival and all of the things I hopefully will not need when I return to Scarborough at the end of this mad adventure. After I climb into Shelly and turn her on I will proceed to drive from Waxahachie, TX to Denton, MD- approximately 1500 miles and/or 22 hours of straight driving. I will need to do that drive within 48 hours in order to catch a flight to Italy from Dulles Airport by 11:00 pm Tuesday night. I am hoping to do it in about 30 hours, leaving me “plenty” of time to catch up on necessary things like renewing my business license and/or sleeping. So I climb on the airplane and delight in the ability to sleep, or read, or do anything other than pay attention to where I am going. Ten hours and fifteen minutes later I land in Istanbul, Turkey where I will probably try to go explore the city for a bit if they will let me out of the airport. I have a heinous 24 hour lay over after all. I am certainly not spending all that time staring at other bleary-eyed travelers near Gate B30 of the Ataturk International Airport. Anyway. So flight to Turkey. Mini Turkish Adventure. Short flight from Istanbul to Rome. Hopefully manageable navigation of customs, etc. Catch commuter train from Airport to Termini Station. Catch 10:30 pm train from Rome to Cefalu, Sicily. Enjoy train ride down Italian coast and Train ON A FERRY ride across the bit of water separating Sicily and Italy. Get to Cefalu. Get picked up by family in Cefalu. Yay family! Operation: Crazy Family in Sicily Adventure begins. Yippie! Operation: Crazy Family in Sicily Adventure ends. Boo! Return to Annapolis again via heinous Istanbul layover. Return the evening of May 1st. Sleep, or something. 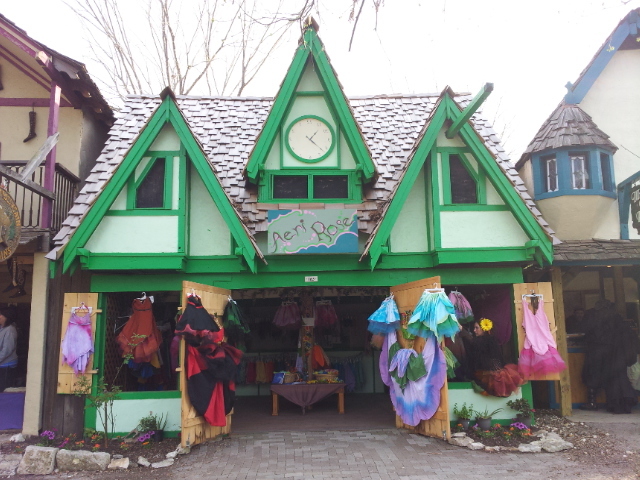 May 2nd I drive out to the Virginia Faire Site near Lake Anna and meet up with Team Wonder-Fairy to set up our booth. After that it starts to slow down. I just have a wedding on the west coast to catch, and to get back to Scarborough for the end of the faire. And then get back to Virginia. Somehow. Even though I’m probably leaving Shelly with the Wonder-Fairies to use as a safe and dry storage spot. And then there are some more shows and festivals along the east coast I might do. Or maybe I’ll be running out to help in Colorado. Or maybe back to Italy with my sister. I’ll be somewhere on the planet. That’s good enough for me! Bring it on summer! I have caffeine and glitter! I’m not afraid of you! Wish me luck and stay tuned for updates, mishaps, adventures, and mushrooms! Mushrooms? Sure, why not?